It is my service. My service is real. And it is also active service. If you wont to develop your reddit post. You must be given reddit link . So I can make a mutual . For your post development. i am professional seller. Do not cheat with you . If your work is not good or not choice i will givre back your money.So you do not have any risk. just order i am ready for your work. I have also extra service about reddit. If you need reddit comment ,you can contact me or buy my other service. I have also reddit subscribe service you can perchaces. This offer is going on and stay long time. Because it is s long time professional service. So you can buy my real service anytime. So buy my service fast. i will ready for work. 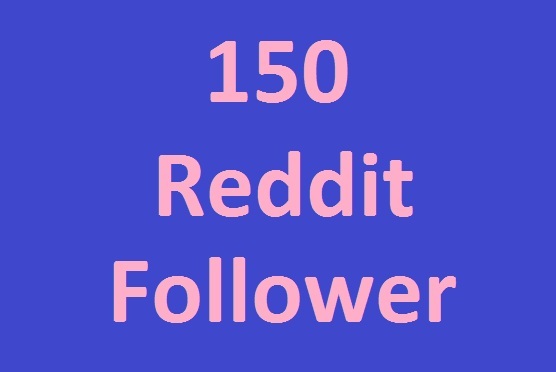 150 Reddit Follower very fast time 5-6 hours is ranked 5 out of 5. Based on 6 user reviews.